1. 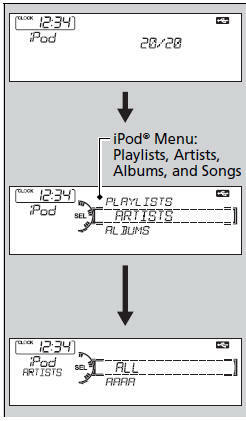 Press to display the iPod® menu. 2. Rotate to select a menu. 4. Rotate to select an item, then press .